The importance of onboarding new employees cannot be overstated. Training and onboarding set the stage for an employee’s future performance, and the data shows it. New employees who participate in well-structured onboarding programs are 69% more likely to stay at a company up to 3 years. that employee’s salary, it should be shocking that some companies spend zero dollars on onboarding. Read on and we’ll look at a few problems associated with poor onboarding, then explore 5 productivity-boosting tips to make your onboarding more effective. QuarkXPress 2019 is coming this summer! We are so excited about the new version that we want to start talking about it now! As you may know, we release a new version of QuarkXPress every year. For each release we develop new and innovative features that will benefit QuarkXPress users. Many of the new features we develop come directly from requests from customers. If you’re a graphic designer, or someone who works in the digital design space, the idea of templatization and automated optimization can be a little unsettling. 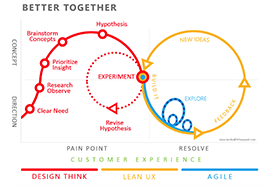 A process or platform that’s taking the human factor out of a brand’s creation cycle? I know it certainly sounds foreboding, but the reality, much like the industry itself, is far more dynamic and progressive than you might think. Working with outside talent, aka freelancers, is great for many reasons, but it can be time-consuming. 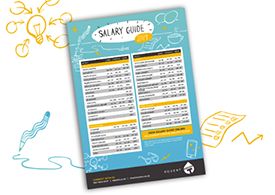 Freelancers are more affordable and flexible than full-time employees, they allow employers to scale their workforce up and down as needed, and they provide unique access to highly skilled, unique talent pools. 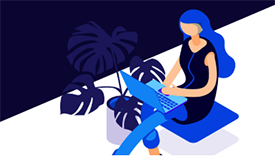 It’s no surprise that 60 percent of the content produced by Kalo clients is contributed to by freelancers: photographers, writers, illustrators, designers, animators, and more. 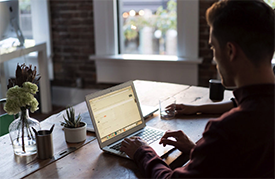 While freelancers can reduce overhead in some respects, most companies aren’t equipped to work smoothly with a freelance workforce. 89% of companies have no formal strategy or system of record for outside talent, and this causes bottlenecks. For example, few companies have defined freelancer onboarding processes in place or a streamlined system for payment. Processes end up being fragmented, cobbled together, and prone to error. Intentional or not, your social media presence impacts your brand perception. Wendy's uses witty, well-crafted Tweets to support their brand image. Their Twitter bio reads, "We like our tweets the same way we like to make hamburgers: better than anyone expects from a fast food joint." On the other hand... a Facebook page that hasn’t been updated or monitored in five years also says a lot about a brand. You don’t have to be something you’re not on social media to be successful. But you should be intentional about the platforms you use, the way you communicate, and the content you share. If you’re ready to get the most out of your social media assets, read on! Now, in the age of metadata and semantic databases, we’ve got a much more efficient and effective way of managing digital assets. But the thing with evolution is that it continues, especially when you’re looking at the advances in technology. In recent years enterprises have worked hard to modernize and optimize their marketing and digital experience technology stacks. 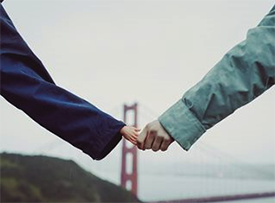 In most cases, however, silos still persist, and many of you struggle to provide coherent customer experiences and campaigns across touchpoints. Join RSG founder Tony Byrne for a tour of a new reference model for the omnichannel era. Tony will show you how to guide your future stack investments towards supporting omnichannel needs, and what this means for content, data, decisions, and operations. If you manage one of these tech stacks, this is a must-see educational session. 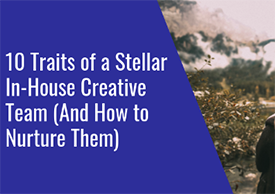 What separates a great in-house creative team from a mediocre one? This articles shares some answers, including insight on nurturing an internal creative team. When looking for talent to hire, we tend to focus on things like behavioral fitment, job role related skill sets, aptitude etc. Assessing if the talent will be a good cultural fit, knows how to do the job and has the necessary acumen to perform the job is important. But if this is all that was needed to ensure that you are hiring the best possible talent, HRs all over the world wouldn't be constantly complaining about how the talent that they hire are not able to consistently perform on the job. Conventional wisdom on a given subject tends to be widely accepted; after all, people wouldn't say it all the time if it weren't true. But sometimes conventional wisdom doesn't have the data to back it up. For example, despite the conventional wisdom that breakfast is the most important meal of the day, studies have shown that having or not having breakfast has no effect when it comes to weight loss or energy throughout the day. Surprised? (Or, like my breakfast-skipping manager -- validated??) In the same vein, consider a new perspective regarding your managerial skills -- are they based on actual data and repeatable results, or something you’ve just heard so many times you figure it must be true? The answer, as they say, might surprise you. As consumers, we experience a non-stop barrage of messages; from watching television and surfing the web, to checking our smartphones. 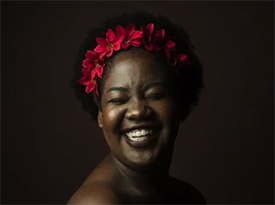 While many of these messages are from friends, colleagues and acquaintances, we’re also being marketed to; enticing ads popping up (a sunny beach when we’re trudging through the rain), designed to make us spend our hard-earned money.Ever thought about these messages? 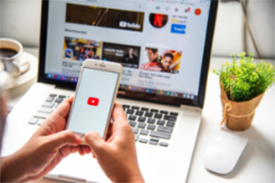 TV ads, flyers, radio spots, banner ads…probably not, because you may feel as I do (that they’re annoying) or you just ignore them completely. If you’re a fan of the written word, you’re in luck, because this month’s resource roundup has enough books and articles to keep you busy for months—if not the entire year. Coming out of Design Leadership Camp Santa Fe, the Bureau of Digital has an impressive list of design leadership books. 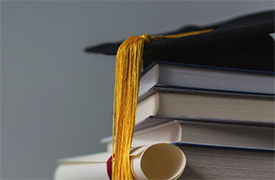 Plus a handful of business / business development reads recommended by Owner Summit alumni. 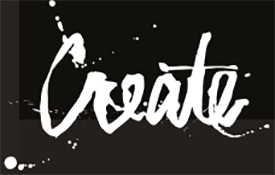 From The InMotion Blog: When Do I Get To Be Creative? 4 Solutions To Get Your Creative Team More Time Back For Creativity! It’s hard to focus on being creative when you are spending so much time doing non-creative tasks. This isn’t a new problem, but it is a challenge that continues to worsen. 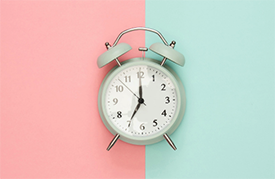 According to the 2019 In-House Creative Management Report, conducted by InSource and inMotionNow, 48% of creatives say they spend about one day a week or more on non-creative work – that’s up 14% from the same survey last year. 72% report that “obtaining the necessary information to get started on a project” is the biggest administrative task that soaks up time they could otherwise spend being creative. Digital Asset Management (DAM) administrators at large organizations face a daunting challenge: getting thousands of assets ingested into their DAM platform on a regular basis. At scale, this challenge can be overwhelming. Fortunately, sophisticated technology exists to tackle the problem. But technology alone won’t address the full challenge, because the issues involved begin long before the moment of ingestion, and end long after. Sooner or later, every in-house agency is challenged to quantify results. This is a reality. At the outset, it’s enough just to get up and running, satisfy your stakeholders that you can produce a comparable quality of work to outside agencies or vendors, and do it consistently in an aggressive timeframe at an advantageous price point. 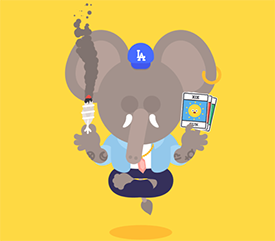 Long hours and unreasonable clients are facts of life inside agencies, but more attention is being paid to the issue of burnout and mental health. 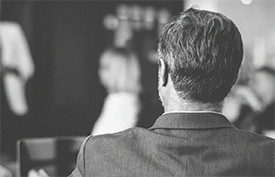 In this week’s edition of Confessions, in which Digiday exchange anonymity for honesty, they spoke to anCopy agency veteran in their mid-30s who suffered two burnouts of their own while working in the industry. Digital natives are actively in the process of reshaping the workforce according to their needs, which are driven by the emergence of new technologies. Research last year from the Mckinsey Global Institute, for example, identified automation and artificial intelligence (AI) as key drivers in changing the nature of work. It also identified a number of trends that would be key in shaping the future digital workplace. If you’re on the hunt for a Digital Asset Management (DAM) solution, you have probably already done your research on all the possible vendors. If so, you have probably realized that all DAM vendors offer different features geared towards meeting different requirements. 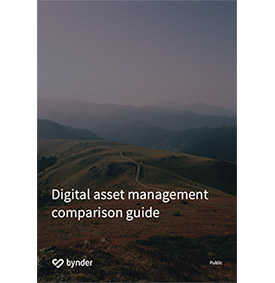 This digital asset management software comparison guide aims to help you compare vendors and features so you can see which solution is perfect for you. 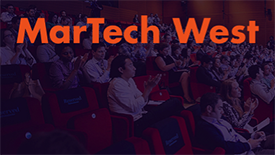 If you heading to MarTech West this April 3-5 stoping to see Percolate's Co-Founder & CTO, Noah Brier, who will be presenting his latest research on the challenges of modern marketing: The Five Tensions of Marketing Orchestration. Noah will explore five key business stresses that marketing teams face, how they contribute to overall orchestration difficulties, and most importantly, practical methods to address them. The Designers’ Secret Source. The best design inspiration — expertly curated for you. 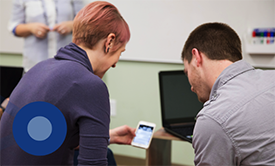 See how teams manage work and processes using Monday. Whether you’re a startup, an agency, an event planner, or a team who manages projects, marketing campaigns, sales pipelines, or HR recruitment processes—this video will speak to you. 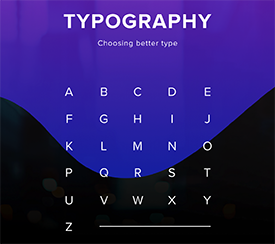 One of the most important skills you can learn as a designer is how to choose type. This is because text is one of the primary ways designers can communicate with users. Typography can make or break a design. There’s a beauty and complexity to typography. Some people devote their entire careers to type. Thankfully, their work is well documented, so we have tons of online resources for typography. This article is designed to serve as a starting point for helping you learn how to choose type for your designs. It will encourage you to explore fonts and font combinations beyond those you’re familiar with. For quite some time Loacker was keen to implement a complete packaging lifecycle management process, from the art layout onwards. 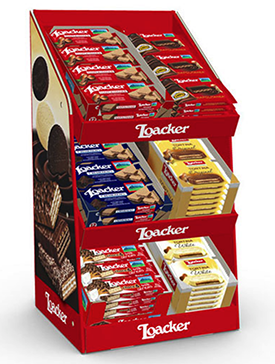 Up until four years ago, Loacker made its packaging renderings with Adobe® Photoshop® or outsourced them to multiple agencies. 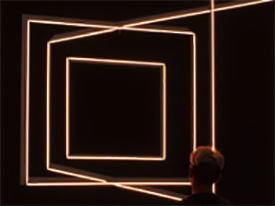 Sign Up To See The Latest Trends And Technologies For Creating Customer Experiences From Your Desktop.Catch the Adobe Summit Keynote and daily features. In 2016, DAM News published the DAM industry’s first ever vendor pricing survey and last year (in 2018) they repeated the exercise to get a more up-to-date picture of pricing trends. Participants were sourced from the DAM Vendors Directory and invited to complete a questionnaire that covered numerous pricing scenarios. DAM News is pleased to announce that the 2018 survey has now been published. WPP’s CEO Mark Read says in-housing is not as popular as the industry suggests, with more brands looking to bring agencies closer to them rather than in-housing aspects of advertising such as buying or planning. Speaking on an investor call this morning (1 March), Read said that despite the industry chatter about in-housing, it is “still talking about the same 10 or less examples”. And that for brands that are considering it, many “underestimate” the challenges particularly in terms of people. 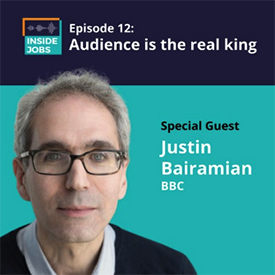 Barclaycard has created an in-house agency that now handles 85% of its creative, but Richard Atkinson, vice-president of its advertising and creative studio, believes there are certain rules brands must follow in order to ensure taking work in-house is successful. The creation of the team, he says, has created an army of brand guardians who get work done about 60% faster than agencies, while saving the business money in the process. 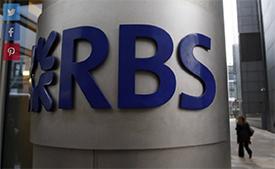 But it has also meant the marketing team has to take more responsibility for effectiveness. 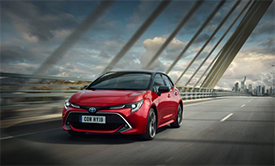 Toyota is in the “very early stages” of creating the infrastructure to bring its marketing automation in-house in a move it hopes will help it both be more precise with its messaging and measure the performance of digital channels. To ready the business for this shift, the Japanese car manufacturer has created a new division within its marketing team in Europe that is in charge of creating specific content by channel and “very personalized messages”, while the bigger brand campaigns are managed by another division. Relationships take work and digital asset management (DAM) is no exception. The decision to implement a DAM system is a positive step in the right direction to gaining operational and intellectual control of your digital assets. 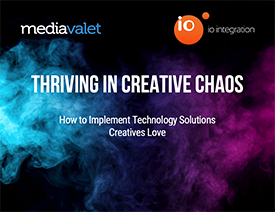 The new ebook from IO and Mediavalet reviews the creative mindset, what creative is looking for in technology and how to roll-out technology to a creative team. The Jewish Museum recently went on a successful DAM migration journey whose framework was based on extensive internal research. The impetus to migrate systems was relatively straightforward: new staff and an updated organizational structure meant that the institution had outgrown the original scope of the legacy DAM. 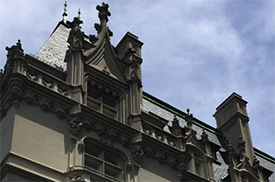 The research undertaken to find a new solution was vendor agnostic as to not focus on specific desired features, but to answer the following: If a digital asset management system is the answer at the Jewish Museum, what is the question? 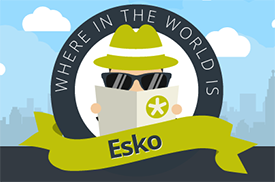 Esko Has Announced the Events It Will Be Attending This Year In The US and EMEA. Behold: The official list of finalists for the Marketing Technology Awards 2019. Winners will be announced at the event on March 21, in New York. Here is the official list of finalists for the Marketing Technology Awards 2019. We’d like to give a huge congratulations to everyone here. We can’t wait to celebrate you and your great work at this event. Winners will be announced on March 21 at the event in Tribeca, New York. As a reminder, finalists were voted on by the marketing technology community, as well as by a panel of twelve expert judges. 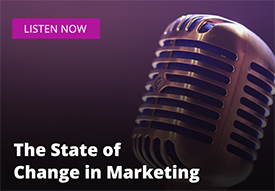 In this special episode, Zee Jay Digital’s Managing Director Eric Rotkow joins host Veronica Bright to discuss the difference between marketing and digital transformation, the number one reason why nearly 70% of transformations fail, and the unique opportunities presenting themselves to marketing operations leaders in 2019. Designers’ Secret Source: The best design inspiration — expertly curated for you. Marketers need to assess not only the reach and distribution of a campaign but also how creatives perform at the various stages of the customer journey. Our industry has made impressive strides in the past few years when it comes to understanding audiences and finding individuals across their customer journeys. Unfortunately, in the process, marketers have an over-prioritized distribution over creative. As a result, the right audiences are being reached, but advertisers are doing so with the wrong creative. Earlier this year, Steve Bevilacqua and a colleague evaluated over 30 vendors in the DAM space. They not only researched their online materials, but also sat down with each of them to demo their products and ask questions about the features. What Creatives Are Saying: The 2019 In-House Creative Management Report is here! 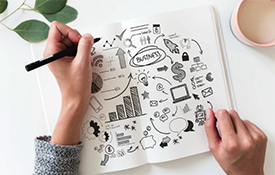 InSource and inMotionNow are excited to announce the 2019 In-House Creative Management Report! 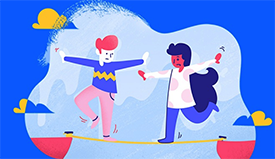 Over 500 creative and marketing professionals across industries participated in the survey which took a deep dive into the leadership, collaboration, and relationship between marketing and creative teams. The report combines key findings with best practices and take-away ideas from industry experts at VSP, Delta Vacations, Denver Broncos, Adobe, and many more! In this presentation Tony Byrne, Founder of Real Story Group, explores the topic of digital stacks. The benefits of looking at digital architecture and digital investment as a whole. Are DAM And PIM Really That Different? There's an old saying that goes, "The only constant in life is change." This is especially true in the world of technology. 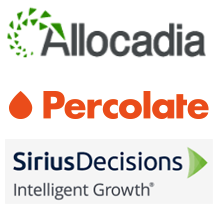 But are we really thinking radically enough about change in the world of MarTech? 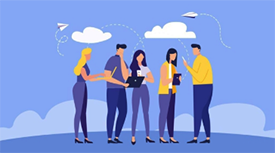 From ClickZ: Facebook Marketing: What’s Working In 2019? Based on data from >105 million posts, what can we learn about how Facebook posting strategies are changing? Here's what to expect for Facebook marketing in 2019. In the Omnichannel Marketing In Practice series, Censhare pulls together three high quality resources which guide you step by step through the stages of becoming an organization that routinely benefits from omnichannel customer engagement. Henry Stewart is delighted to announce the Creative Operations NY 2019 agenda is now live! This bespoke program is designed to help make your creative work better. Join us on May 2 to learn from industry leaders and network with some of the world's leading organizations. In essence, every project, creative assignment or initiative we take on has the same goal: to solve a business problem or to correct an outstanding issue that has been deemed a priority. Because we treat all assignments as such, the pursuit of the solution for each project is the ultimate reward in this profession, and it is this pursuit which makes me love creative operations. STOCKHOLM, SWEDEN, Feb. 6, 2019 – Aprimo, a provider of technology solutions for content, operations, and performance, today announced a strategic alliance with Episerver,the company transforming digital experiences, at the Episerver Partner Close-Up event in Stockholm. 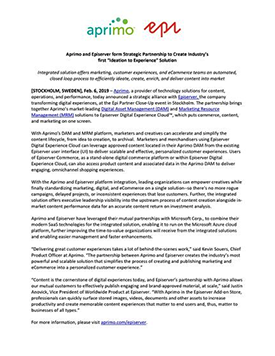 The partnership brings together Aprimo’s market-leading Digital Asset Management (DAM)and Marketing Resource Management (MRM) solutions to Episerver Digital Experience Cloud™, which puts commerce, content, and marketing on one screen. The implications of this simple question have many effects on the pros and cons of the type of DAM system you choose. In this article, we'll discuss both the benefits and the drawbacks of using a cloud-based DAM. Data shows that creative design is reshaping products, portfolios, and industry standards at more than 70% of companies. If creative design is so important, doesn’t it also make sense to invest time and money on writing a good creative brief? Before the actual work of designing an infographic, launching a PPC campaign, or even beginning to pull ideas together in the early stages, you need to be sure that you have a solid creative brief. 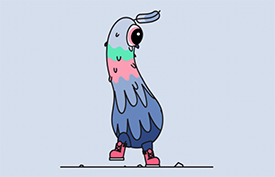 The creative brief is the foundation upon which the work of any creative project will be done, but all too often projects fall short because of poorly written, bloated, non-actionable, ambiguous creative briefs. 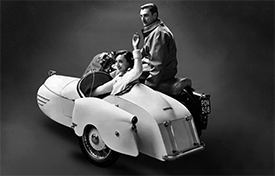 In the beginning there was Donald A. Norman, and he created the idea of user experience design. It’s time for another issue, packed with fresh fonts that you can start using in your projects today. Enjoy the issue! Marketing organizations are facing more and more pressure to demonstrate their impact on the business – yet most lack the ability to quantify value. As the new year kicks off, digital leaders and teams are getting a head start on building healthy projects, and organizations. We’ve seen a flurry of conversations focused on accessibility testing, project tracking, sprint planning and more, as well as app and service recommendations to make your work life a little easier. Read on for new tools, processes and strategies to help grow and evolve your role and organization. Companies that offer formal employee training earn 218% higher income per employee and realize a 24% higher profit margin than companies without formalized training. 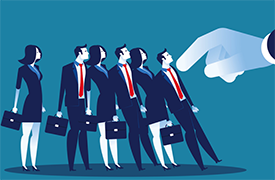 There is a clear incentive to determine how to improve employee training. But what happens when an organization’s employees are unable to keep up with the speed of business? 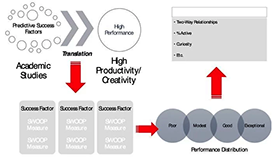 If you’re looking to measure work performance across your company, don’t measure success by the number of tasks completed. After all, successful startups and failed startups both work on the same task (i.e., building a startup). Measuring the number of tasks completed isn’t the point. The point is results. 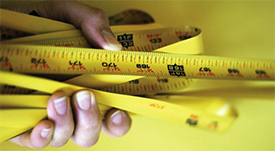 So, how do you best measure results across your company? Electrolux is bringing all of its digital media buying in-house, beginning with North America and then expanding to different regions across Europe and Latin America. Joel Stanley, senior director of digital marketing at Electrolux North America, said that the Sweden-based global company, known for its Frigidaire refrigerators and parent company to a variety of global home appliance brands like refrigerator and air conditioning brand Gibson and Electrolux Laundry Systems, is estimating that by this July, all of its digital media planning and buying in North America will be done internally through its headquarters in Charlotte, North Carolina. Last year, Extensis announced its partnership with Esko, a global supplier of integrated solutions for the packaging, labels, sign and display industries. The two companies have teamed up to deliver a font management connector for Esko’s next generation packaging prepress editor, ArtPro+, guaranteeing font accuracy in package design workflows. Esko Applications Sales Manager, will team up to show the crucial role proper font usage plays in ensuring brand consistency in the packaging process. 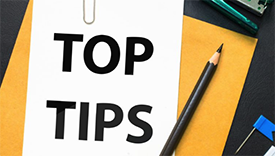 This webinar will also focus on the main pain points organisations working in the print/publishing industry face regularly, regarding fonts and font management and how to overcome these. Nearly a quarter of employees receive just one day of digital skills training in an entire year, according to our recent survey. How brands can change this. Clients moving services in-house isn't a new challenge, but the Martech Today survey found it tops the list of digital agency concerns. From Oliver: What’s Happening to Agency Models? OLIVER recently collaborated with ISBA and Future Thinking on Rise of the In-House Agency, the first ever quantitative study into the use of different agency models by UK brands. Oliver takes a look back over the results and discussed the top takeaways, biggest surprises and most interesting emerging trends. Wheldon is not the first, and won’t be the last, marketer to experiment with a model that’s of increasing concern to agencies, but he's clear there's still a space for them. In an ideal world, enterprise technology procurement teams would take their time to bring new solutions into the enterprise, patiently gathering requirements, prioritizing needs, and testing solutions. In the real world, selection teams don’t always have the luxury of time. 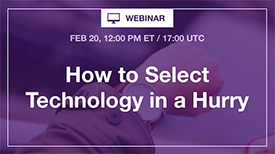 Join Jarrod as he presents a faster, more agile approach to technology selection. Drawing on more than a decade of case studies, Jarrod will show you how to run a more efficient, iterative, and empirical selection process that will provide swift value for your business. Whether you’re asking for a raise or trying to get some good ideas from a brainstorming session, these storytelling tactics from pros will keep your audience’s attention. Before presenting a big idea, Amazon employees write a six page memo detailing the project, scope and approach. What can marketers learn from that strategy? Do you remember the 5Ps of Marketing? Product, Place, People, Price and Promotion? For most of us in digital marketing, these may feel more than a little outdated. During this era of always-on, real-time marketing with a shifting regulatory landscape, there’s a new marketing mix that you need to be versed in. Join Craig Schinn, VP of Strategic Services at Lytics, as he breaks down the new 5Ps that marketers need to know to succeed in today’s fast-paced environment. He’ll share his digital strategies and experiences from working with leading brands such as Verizon Wireless, Staples, General Mills, AT&T, The Economist and more. 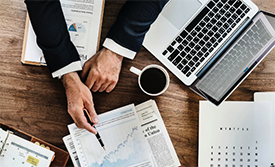 The return on investment (ROI) of master data management is a topic that keeps captivating people – in particular, those considering investing big in MDM. And with good reason. Because as is the case with all investments, people want to know: What’s the outcome? What will we get from the money we spend? It’s business logic. But nonetheless, the answer isn’t always straightforward as it isn’t necessarily easy to quantify the value of high quality data and smooth data processes. How do you become a better leader to truly show up and be present for your team, family and friends? Dave Prior, Certified Scrum Trainer at LeadingAgile, and Mika Trottier, Partner Acceleration Lead at Shopify, have some tried-and-true recommendations. They took the stage at the 2018 Digital PM Summit to share lessons learned running Agile experiments on themselves, as they put Agile through its paces to better their personal and professional lives. The word “risk” has a complicated reputation. To some, it is a terrifying thing to be avoided. To others, it’s an exciting motivator. To project managers, it’s an inevitable part of the process that should be expected and planned for. 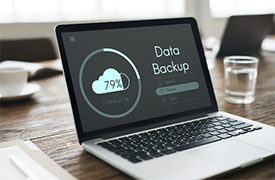 Any company, no matter how big or small, will likely have a large amount of assets that are saved to various drives throughout every computer in every office. 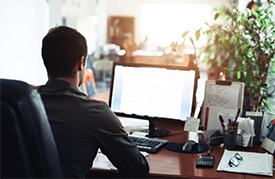 For employees, especially those in separate departments from one another, locating a specific file can be a real headache. Sorting through file after file on a never-ending search for the right document or asset is not only frustrating, it is also incredibly time consuming. 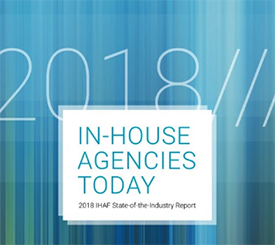 The IHAF Leadership Summit has been lauded as the premier networking and learning opportunity for in-house agency leaders. This executive-level event offers opportunities to network and learn from corporate and creative pace setters, sharing proven strategies for organizational and operational success. 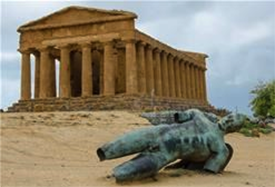 1,000 years from now, when digital archaeologists look back on 21st century marketing, what will they conclude? Based on our “ancient” emails, notes, blogs, martech stacks, and content, what will they think that we believe about marketing? A few months ago, an article on the issue of agency long-hours culture caught Toms eye and made him realize that it was a problem he had been addressing for years, just from a different angle. 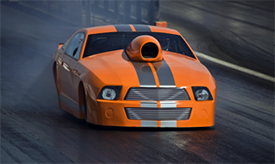 Join Workfront for its premier modern work management event. Learn from the brightest minds in keynotes, interactive breakouts, and one-on-one consulting sessions. 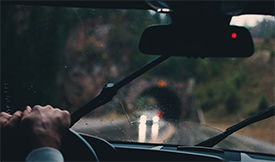 Get a sneak peek of the Workfront product roadmap and discover how companies like yours are leveraging Workfront as their operational system of record. Marie Kondo and her philosophy of removing clutter from one’s personal life and home is a phenomena to say the least. The premise is simple, but effective: our homes are full of clutter and the time has come to tidy, clean and remove the excess. Kondo is effective in her campaign against disorganization and her ability to find a “spark” of interest in this popular show reminds us we all have a lot of clutter in our lives that need organization. But can this be transformative? And can it translate to the modern office? There is nothing that makes Jordan feel more satisfied in Product Design than a perfect balance of data-driven user experience (UX) and visually-stimulating user interface (UI) design. What a nerd, right?! But if the two stepped into the ring, which they often do, who do you think would win the bout? While we hope for 18 rounds and a perfect blend of the two, at the end of the day, user experience outweighs visual design. Artificial Intelligence (AI) and machine learning are positioned to remain a key area of investment focus for many organizations in 2019. A recent research survey sponsored by OpenText reports that 43% of organizations currently use or plan to build and buy AI and machine learning systems with a primarily goal of increasing operational efficiency and effectiveness. 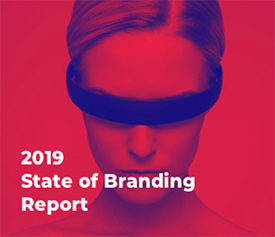 This report will unpack five key findings—with some deeper dives—that provide invaluable insights on both the current and future states of branding. At a glance, Bynders results reveal the typical challenges and opportunities that marketers are now grappling with as they contend with the rapid changes to tech advancements and consumer behavior. From CMS Wire: What Does it Take to Build an Effective Digital Team? Swoop Analytics recently completed what they believe is the largest study of digital team collaboration performance ever undertaken. They analyzed 1,360 digital teams from nearly 70 organizations from a full breadth of industries and geographies. The digital interactions of over 400,000 team members and nearly 2 million interactions over an extended 6-month period were analyzed. 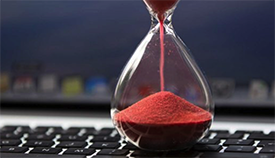 These days, in business settings, crossing a deadline is not quite so harrowing, but needless to say it’s still something we’d all like to avoid. 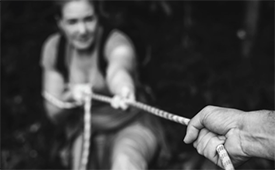 Unfortunately, when you’re running a large content team with multiple complex campaigns and initiatives in play at the same time, letting the occasional due date slip by can feel inevitable. If this happens too frequently, it’s not a good look for the responsible content manager. Consistently delivering on time is how we gain trust and confidence, with both bosses and our audiences. 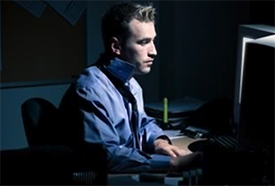 So how can we prevent lapses? This is one of the prime advantages of using content calendar software. 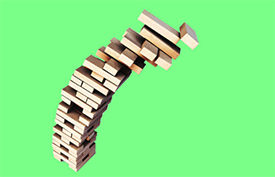 From HBR: Are Your High Expectations Hurting Your Team? ICP gets asked a lot by clients “where to begin with this Ecommerce content ecosystem journey”? Far too often we come across clients say “hey look, we know this new platform, let’s go with it first then we will figure things out later on”, “We have bought this platform a while back ago but never really used it, shall we look into it first?”. Well, the answer is, if you have nothing in place, starts with people (then work on to process and technology). Otherwise, start with the things you have already known (be it people, process and technology) and map out a stair-step of how these things should come together. Wherever you start with, be assured you don’t have to build everything all at once. 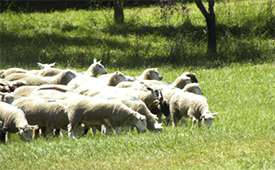 More and more, part of our job as project managers is not just herding sheep, but herding sheep located on farms located across the globe. The spreadsheet is truly a marvel of the computer age. 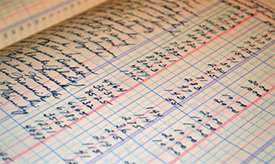 Invented in the early 70s by a virtually unknown wizard named Dan Bricklin, the spreadsheet may be the most flexible, versatile, and ubiquitous technology tool in the business world. It’s been called one of the top “killer apps” of desktop computing, along with word processing, design/publishing, and database. The corporate world’s dirty little secret is that almost everything runs on spreadsheets. 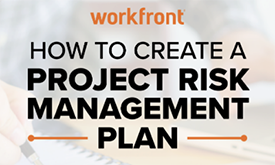 A well-defined project management framework will bring much-needed order to your projects. 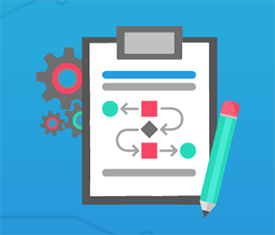 Learn how to create your own PM framework in this guide. © 2019 Vista Grande Digital, LLC. All rights reserved.